Think you’ve seen a lot of Lionel Messi goals? You’ve got nothing on Sergio Busquets. ‘We have the good fortune to train with him every day,’ says the 30-year-old Barcelona midfielder. ‘I’ve spent the last 11 years with him, so you get that greater concentration of him doing these things. The last thing most players sitting down for an interview want to do is be asked about other players, but those at Barcelona never seem to mind being questioned about Messi, who scored his 33rd league goal of the season on Saturday against Atletico Madrid to all but seal his 10th and Busquets’ eighth La Liga title. 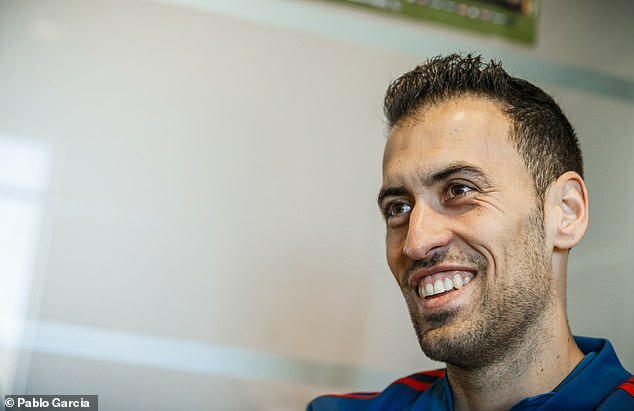 During Busquets’ time in the Barcelona first team, he has always had Messi alongside him. 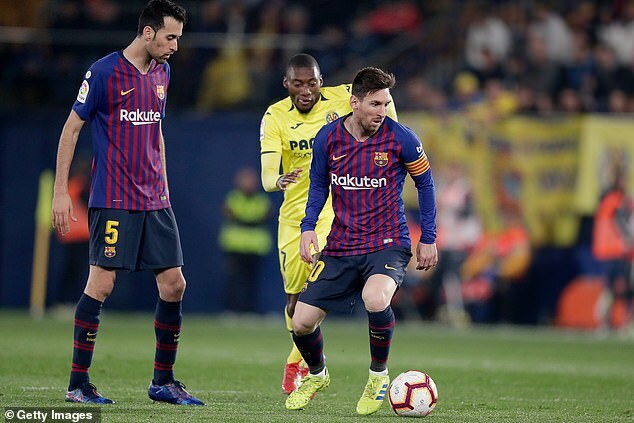 He has seen him go from the shy teenager to the club captain who took the microphone after a pre-season friendly last summer and told a packed Camp Nou the Champions League would be the club’s priority this season. By ‘so many years’ he means four — Barcelona beat Juventus 3-1 in the 2015 final in Berlin. It’s hardly decades of hurt but with Messi, Gerard Pique and Busquets as the spine of the team there is a sense that they should have won it more often — and that this is their year. 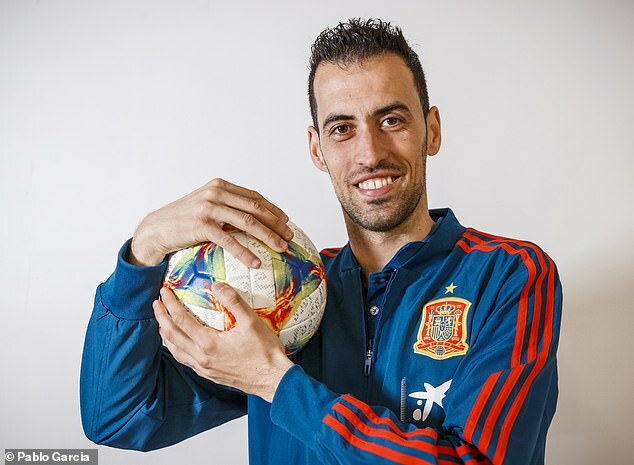 The good news for Manchester United is that, as he looks ahead to Wednesday’s Champions League quarter-final first leg at Old Trafford, Busquets, a veteran of two finals against United, admits the team hit its all-time high at Wembley in 2011. 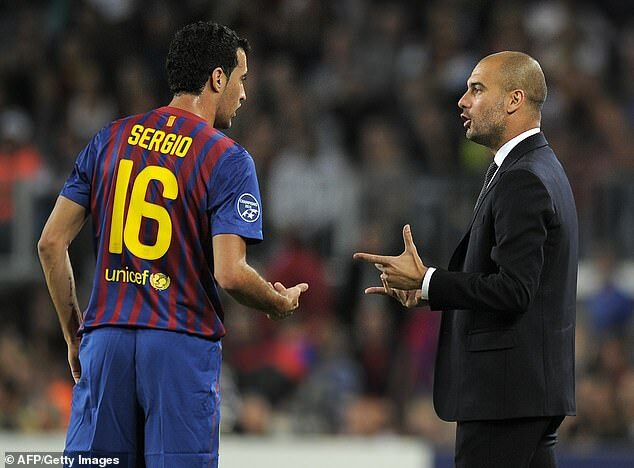 ‘It was the best performance in the Pep Guardiola era,’ Busquets says of the 3-1 win. ‘It was the pinnacle of everything we were achieving at the time. Barcelona midfielder Xavi would later confess that Wayne Rooney had told him with 10 minutes left: ‘That’s enough. You’ve won, you can stop playing the ball around now.’ Michael Carrick would also later admit it was the best football he had ever seen. 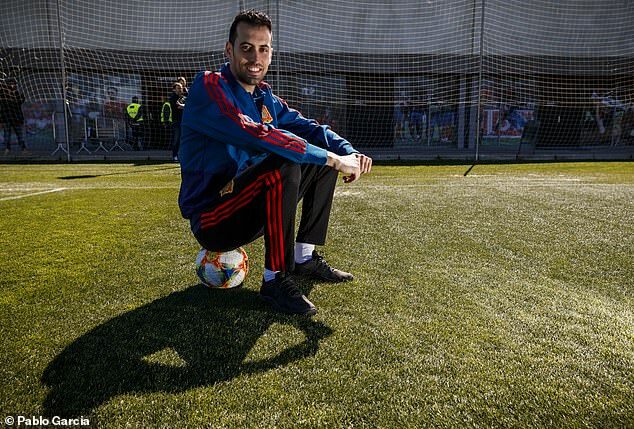 ‘Sometimes you can feel that frustration from the other team when you are so on top,’ says Busquets. ‘We had prepared very well and caused them a lot of harm, just keeping the ball and with them running after it a lot. 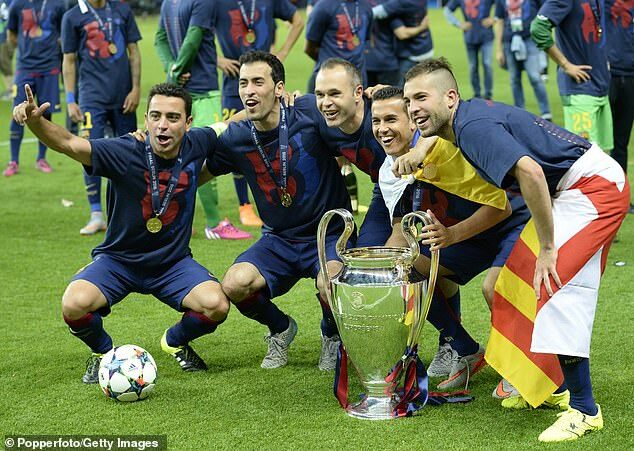 Busquets, Messi and Pique are not the only Barcelona survivors from that afternoon. Eric Abidal played the final just two months after an operation to remove a tumour from his liver; he is now the club’s sporting director. 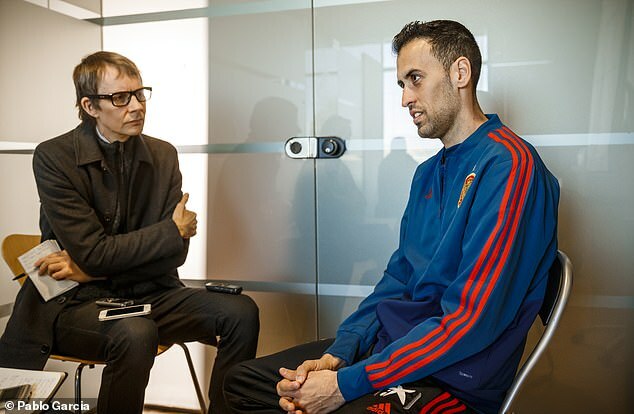 ‘His recovery brought us strength,’ Busquets says. ‘It was very hard for the dressing room when we heard the news. I remember when he told us. His spirits were much higher than ours. Abidal came on for the last few minutes of the Champions League semi-final victory over Jose Mourinho’s Real Madrid and then started the final against United, even lifting the trophy at the end. Busquets must get nostalgic for those times when Barcelona were so dominant? ‘I don’t like to make comparisons, but I think the best era was the one we experienced with Pep,’ he says. ‘We could understand each other with just a look. The opponent didn’t know what we were going to do but we knew with just a glance. That was a huge advantage. ‘I’m still the same player,’ he says. ‘Just with more experience. My job is still to put my qualities at the service of the team. If they progress past United, there could be a reunion with Guardiola in the final. ‘I would sign for that right now,’ he says.